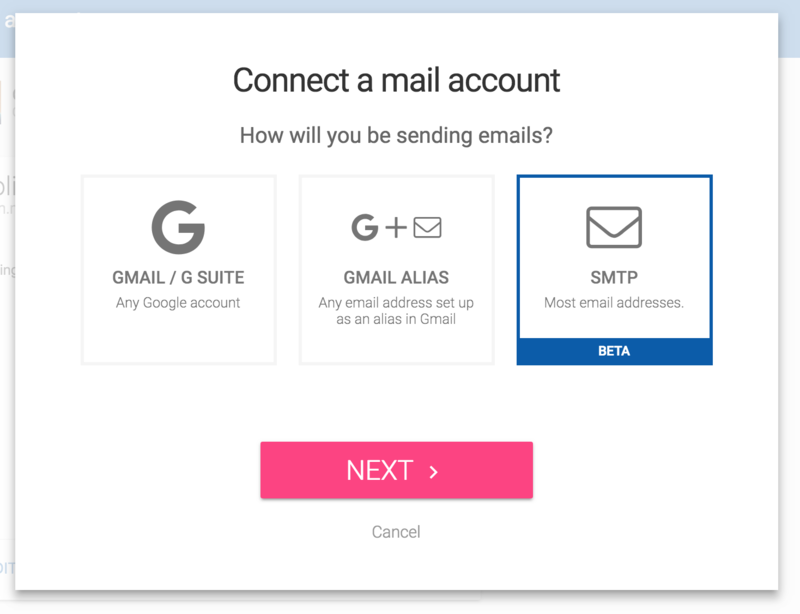 You can connect almost any email address up to Mailshake by adding an SMTP mail account. To get started, click on the "+" sign on the "Mail Accounts" page and choose "SMTP." Tell Mailshake what email address you will be sending from. Whichever email address you enter must be allowed by your email provider, otherwise you may have errors during sending or your emails may wind up in spam. 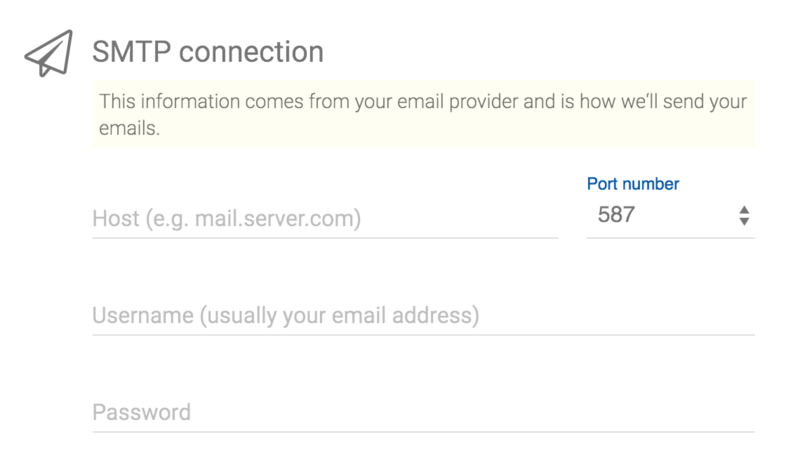 To tell Mailshake how to connect to your email provider, look for the "SMTP" host and port information as laid out by your email provider. 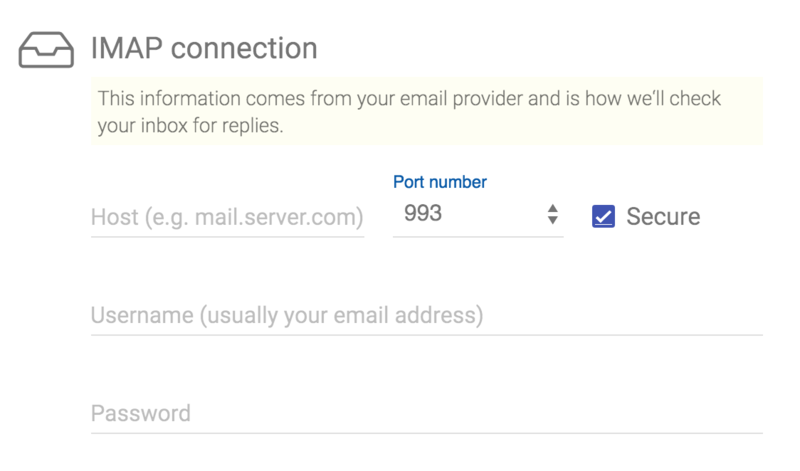 Similarly, look for the "IMAP" host and port information that is listed by your email provider to tell Mailshake how to check your inbox for replies. This is a crucial step so that Mailshake knows when how to stop your follow-up sequences, record replies, create leads, and allow you to reply back to emails from within Mailshake. Usually the "username/password" is the same as in your SMTP settings. After you've added your mail account, we strongly encourage you to send a test campaign. Create a campaign where you send to a few different email addresses. Sign into your email inbox for those test addresses and reply back. After waiting a few minutes, check your Mailshake campaign again to make sure the replies came through.